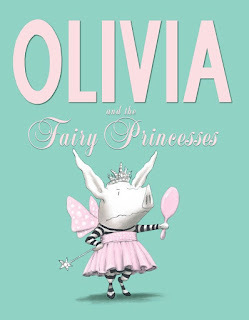 Reading Rumpus: Olivia and the Fairy Princesses by Ian Falconer - Olivia Rules! 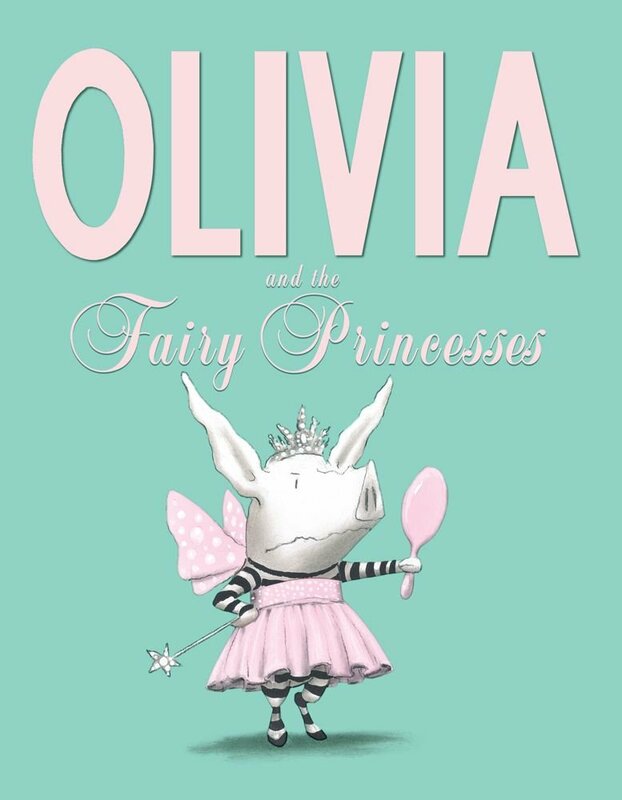 Olivia and the Fairy Princesses by Ian Falconer - Olivia Rules! Olivia Pig. Opinionated. Creative. A girl with an attitude. A role model. When I first read Olivia, all those years ago, I was mesmerized. I found my kindred spirit! I had collected little porcelain piggies for years so it was natural that my family started buying me all sorts of Olivia swag. I have every book and numerous stuffed versions, but my favorite item, aside from the books themselves, is my "Reading never wears me out" bookmark. The New York Times Book Review published a great review on August 23rd by Bruce Handy: "But even rugged individualism can turn sappy in the wrong author’s hands... I’m thinking especially of the increasing legions of celebrities who, when writing children’s books, seem compelled toward themes like “Free to be having a snit if that’s what I feel like today” and “Do not hate me because I am distinctive looking.”...... "Thank God for Ian Falconer and his Olivia. She is the popular school-age pig, the latest in a line of independent, high-spirited young ladies that goes back at least to Madeline and Eloise, and also includes Frances the badger and Lilly the mouse. Her seventh full-fledged adventure, “Olivia and the Fairy Princesses,” is, to my taste, her best since her introduction 12 years ago as a fashion-conscious, Degas-loving heroine with a thing for Maria Callas and a talent for “wearing people out.” She has since saved the circus, formed a band, lost a toy and visited Venice, where even the globe-trotting Eloise never set foot." I could not agree more with Mr. Handy. This is the best one since the first. It has the attitude and positive influence girls need to break away from the 'princess mindset' of late. It's not a trendy attitude either, with head bobbing and fingers clicking whilst you say, "you know girl" in some uncommon vernacular. Olivia just simply has confidence. Period. It's not forced on us. It's not hype. Olivia is unique because she is unique, not because she wants to be unique, or expects you to mimic her. In fact, if you mimic her, she will change her mind and go another direction. And don't get me started on what Nickelodeon did to her!!! This preview link will give you an idea why this book is right on track with the "real" Olivia, not that CG version on Nickelodeon! Disgusting. If you have somehow managed to miss Olivia in her "real" form. Start with the first, but also check this book out. Even though it is a simply worded picture book, there are some great possibilities for intermediate study also. I would use it to teach the effects of bandwagoning techniques, discuss what being an individual really means and maybe even what "princess" means to various cultures.